On a beautiful sunny Durban Saturday on 2 August 2014 I attended the SA National Cookie Swap. The Durban event was hosted by Faeema and Nicola and was held on the porch of the Quarters Hotel on Avondale. 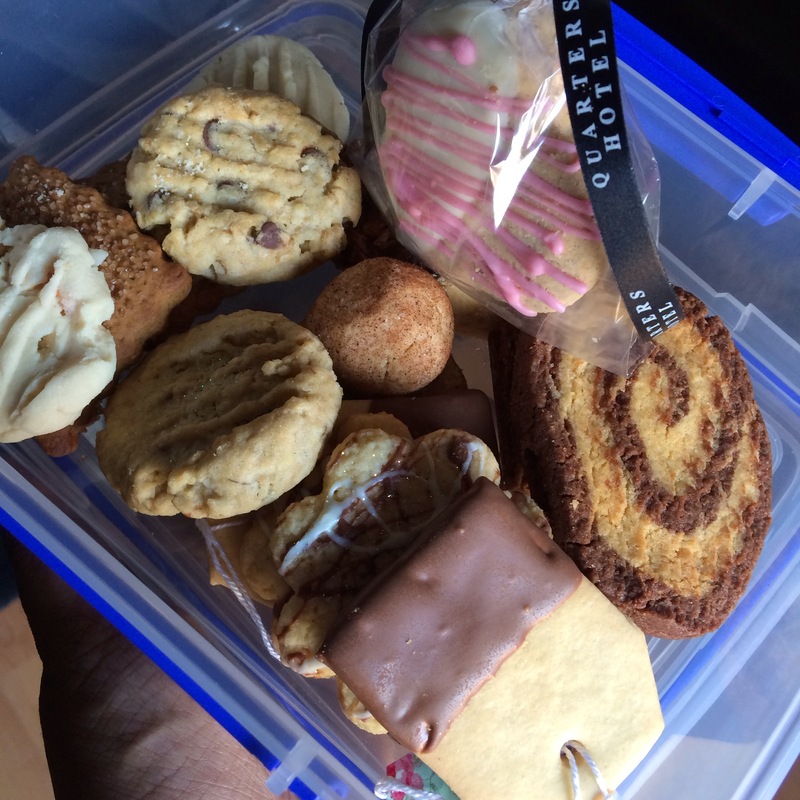 The Cookie Swap is the initiative of Ishay Govender-Ypma and the main purpose, besides getting your hands on some yummy baked goods, is fundraising. This year the money raised nationally, an amazing R24 645, R8900 of which was raised in Durban, was donated to the Learn To Earn organization and their Bake For Profit project. Women from Hermanus and Khayelitsha are taught how to bake and use those skills to build and sustain their own small businesses. I think its a wonderful use of the funds. Each person attending was asked to bring along 40-50 cookies to swap and there was a R50 charge for bakers and R100 for non bakers. 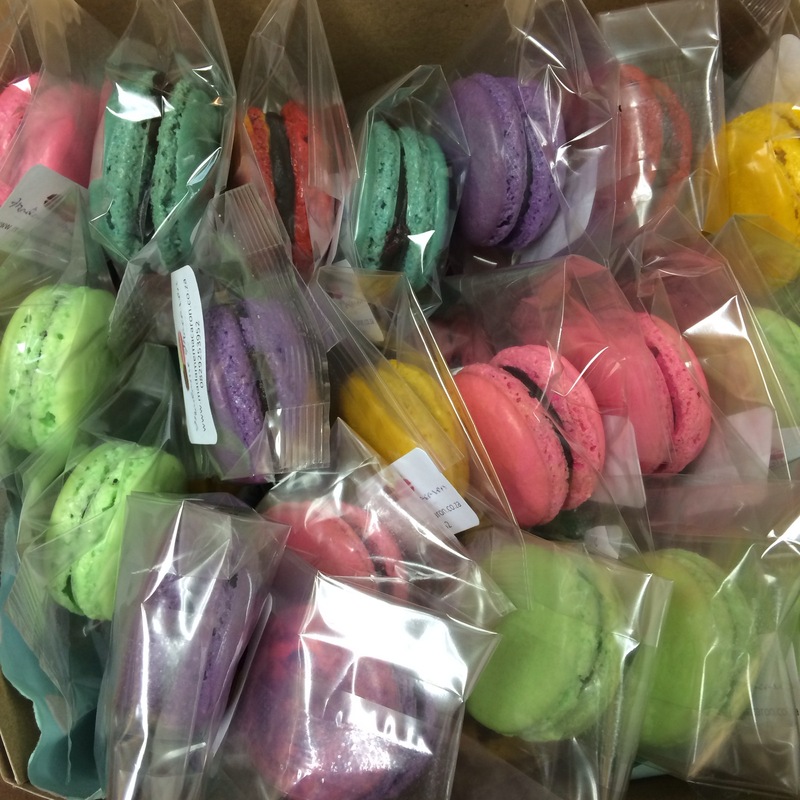 I took along some macarons for the ladies. With some great sponsors, the cookies were not the only thing that the ladies were excited about. 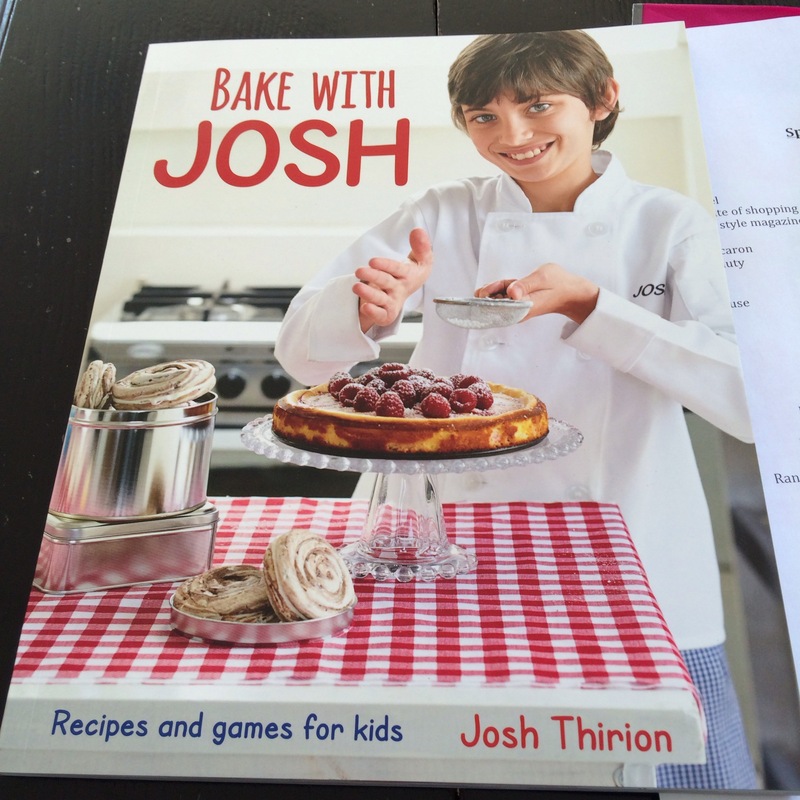 I was lucky enough to win a copy of Bake with Josh – Recipes and Games for Kids. I don’t think that the book could have been better suited, with Jasmin and Teyla becoming more and more involved with me in the kitchen these days. Another highlight, and big contributor to the fund raising, was the auction. 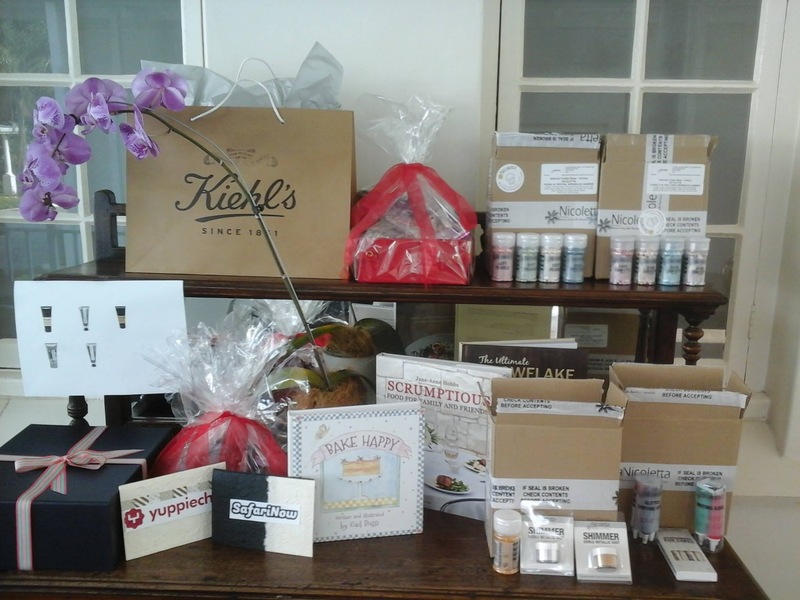 With amazing hampers full of lust-haves from Khiels, Revlon, Nicoletta, Le Creuset and others, it was great fun watching everyone try to outbid each other. 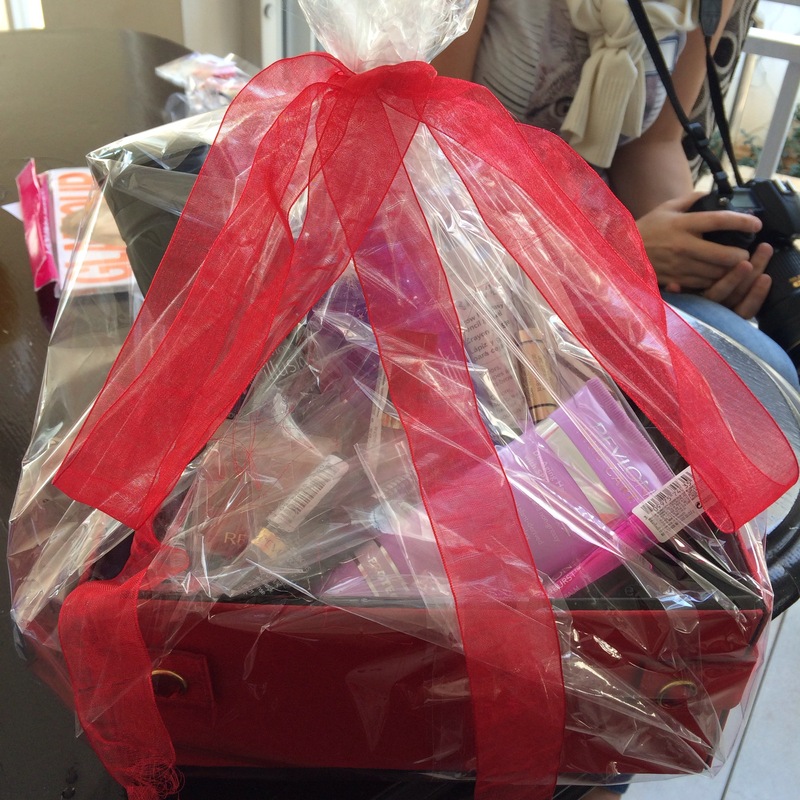 I managed to snag one of the 2 Revlon hampers worth R1000 and I could not be happier. All in all it was a great morning out and, besides my container-full of baked deliciousness, I really enjoyed the company and I cannot wait for the next years event. Here are a few link to posts from other bloggers that were at the Swap and what they had to say about it.